Turbine and diesel driven / screw compressor continuous flow type airstart systems for bleed air, maintenance and jet engine start. From 90 ppm, 120 ppm, 150 ppm, 170 ppm, 250 ppm, 270 ppm to 280 ppm. 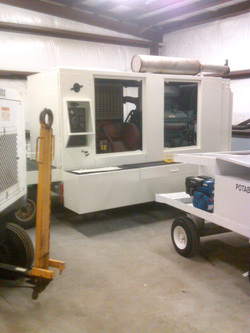 Brands include Tug, Stewart & Stevenson, S&S, Atlas Copco, Ace, Devtec, TLD, and more. Stewart & Stevenson TMAC-170 170 ppm aircraft airstart. Will service narrow body and some wide body aircraft. 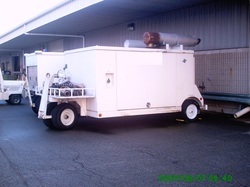 8V92 Detroit Diesel and Atlas Copco Compressor. Under 500 hours, ex air freight outstation. Nice machine. In Stock. $29,800 USD. Stewart & Stevenson Tug Technologies TMSS-280 280 ppm airstart. 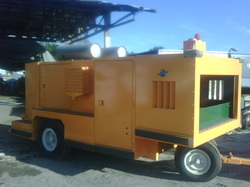 Ex UPS, unit Re-Conditioned with output hose and coupler $48,000 USD. In Stock. 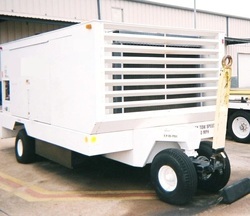 Stewart & Stevenson Tug Technologies TMAC-250 250ppm airstart. 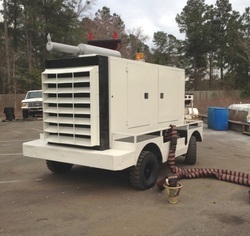 8V Detroit Diesel with Atlas Copco compressor. Good Serviceable Unit. Hose & Coupler Included. 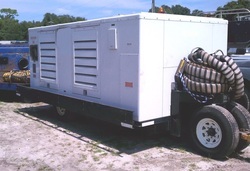 $41,600 USD as-is or re-conditioned available.